Comfortable grip handle with scale in mm for accurate measurement. 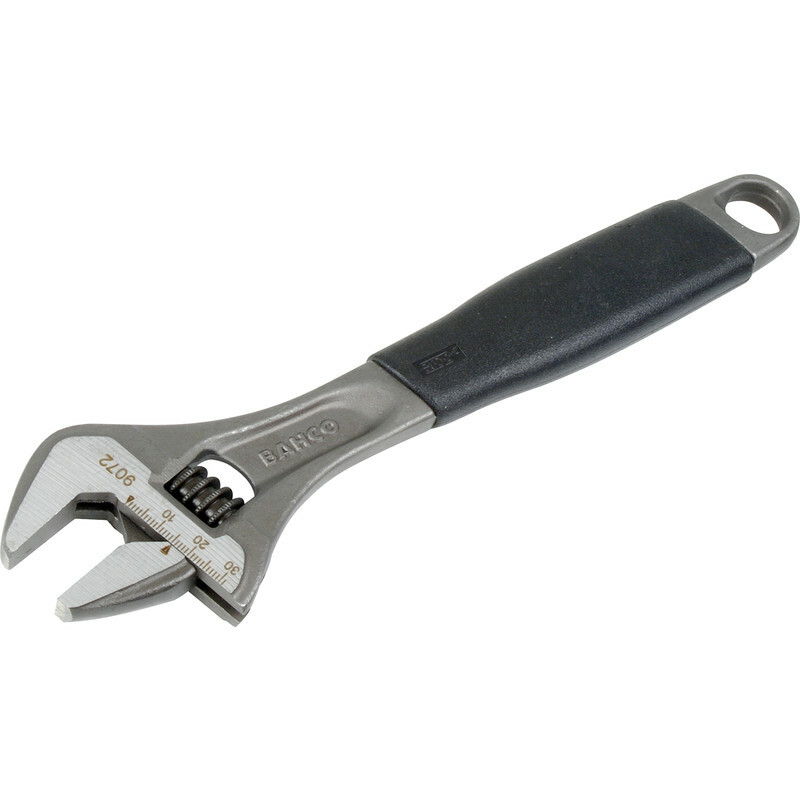 Bahco Adjustable Wrench 8", OJC 27mm is rated 4.3 out of 5 by 3. Rated 4 out of 5 by FunTimeFrankie from Seems up to bahco standard Bought to replace an old bahco shifter I've had for years. A little bit disappointed to see the handle has grown in size, the old one fit in my pocket perfectly. Still a good tool though! Rated 5 out of 5 by PeterM71 from Well made Great tool. Very well made and great to use. Rated 4 out of 5 by Philogos from Very sturdy I bought this to replace one that had stripped the adjuster worm on a large nut. This is not going to do the same and has already been used on a (large) rusted nut without problems. High quality.